Kamen – Material flow applications, such as those used in the automotive sector, call for seamless and precise positioning in assembly lines throughout the entire production cycle. 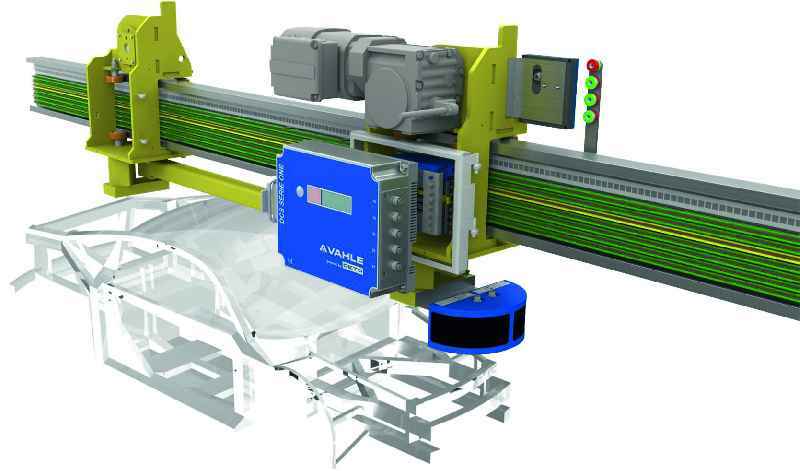 VAHLE provides APOS OPTIC an optical positioning system that measures absolute values and specifically tailors to the requirements of electric monorail conveyors, to address this task. Kamen – Material flow applications, such as those used in the automotive sector, call for seamless and precise positioning in assembly lines throughout the entire production cycle. 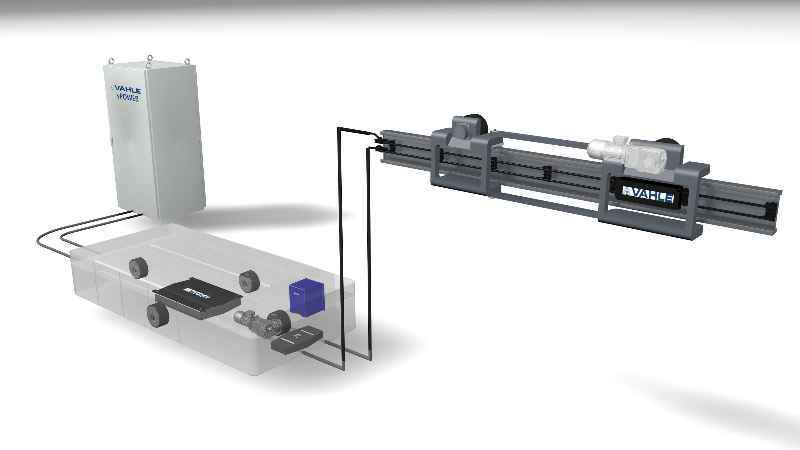 VAHLE provides APOS OPTIC an optical positioning system that measures absolute values and specifically tailors to the requirements of electric monorail conveyors, to address this task. The non-contact, wear-free measurement system relies on DataMatrix codes that are highly interference-proof. A code is simply glued to the support beam or onto bare surfaces which enables absolute position detection up to a maximum travel distance of 10,000 meters. Two integrated cameras ensure high availability and process reliability allowing APOS OPTIC to reach reading speeds of 180 m/min at a resolution of ±1 mm. Since APOS OPTIC determines absolute positions, it requires no homing for calibration even after a voltage drop or plant restart. In safety-related applications, the safety function „safe position“ with performance level D, category 3 according to DIN EN ISO 13849-1 can be implemented by combining the system with TÜV-certified TIA system components. The positioning units communicate via serial interfaces such as RS485 and SSI and also provide PROFINET fieldbus connections. With the vPOWER, vDRIVE, vPOS and vCOM product segments, VAHLE’s automation division provides a comprehensive portfolio of system solutions. This line-up of seamlessly integrated components complement each other comprise technologies that cover all requirements for energy supply, drive control, positioning, and data transfer to and from transport vehicles. Kamen – In large, spacious production facilities e.g. in the automotive industry, rail-guided transport solutions such as overhead monorails or skillet conveyors provide for considerably higher speed and efficiency compared to stationary handling systems. In the development of vDRIVE mobile drive controls, VAHLE has given current and future demands on such transport systems due consideration. 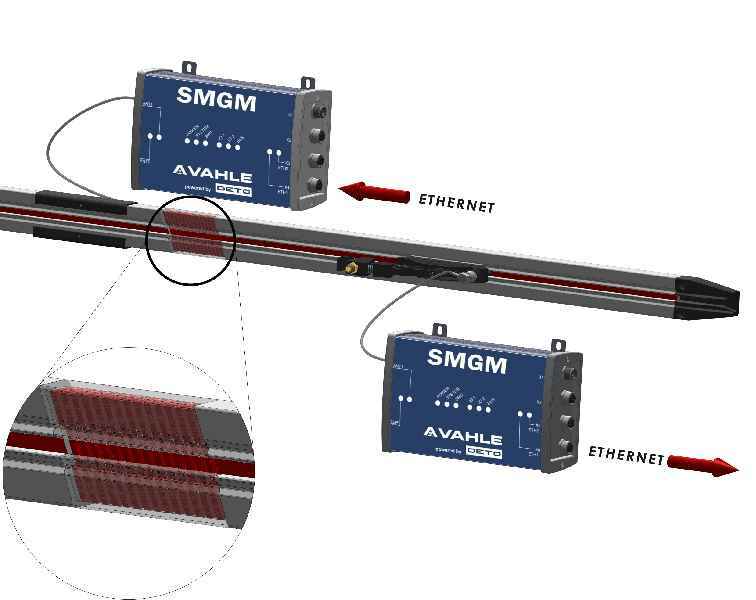 The SMGM data communication system for mobile applications can be integrated into the VAHLE conductor rail system. Kamen – In today’s production facilities, the amount of control and diagnostics data keeps growing by leaps and bounds. While data for simple transport tasks in mobile applications can be transmitted via conductor rails with a low transfer rate, this is not feasible for complex applications with large amounts of information. Kamen – In today’s production facilities, the amount of control and diagnostics data keeps growing by leaps and bounds. While data for simple transport tasks in mobile applications can be transmitted via conductor rails with a low transfer rate, this is not feasible for complex applications with large amounts of information. Joining the vCOM product family, VAHLE has developed the SMGM (slotted microwave guide micro) data communication system to transmit these high volumes of information. 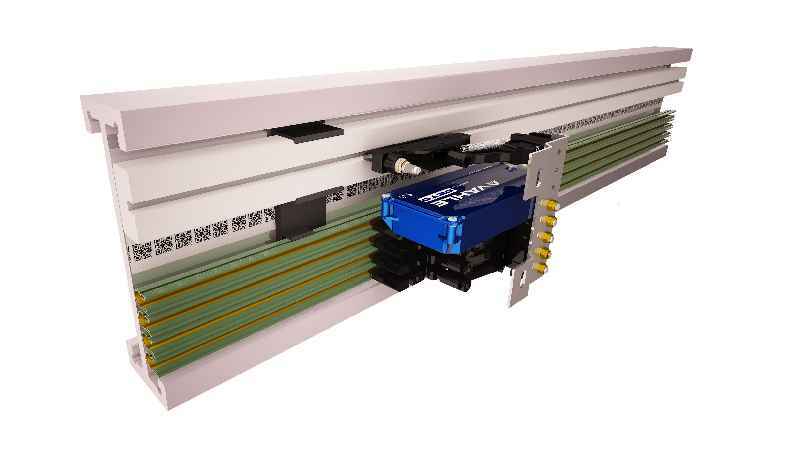 Featuring a gross data rate of 50 Mbit/s, the system enables interference-proof data transfer via the proven VAHLE conductor rail system. The data transmission via a slotted hollow conductor is locally restricted. This prevents interference with other radio systems commonly found in industrial applications. Using Wi-Fi and Bluetooth networking at the same time as the SMGM data communication system poses no problems. SMGM provides an Ethernet interface that can be used for transmitting data such as PROFINET data. The technology meets all requirements for communication interfaces used in transport task applications involving the safety of people. Up to 15 network nodes can be connected per segment with a typical length of 100 meters. For crane applications, the data communication system is also available in a “lite” version that allows for the connection of four participants per segment, a vertical curve radius of 2300 mm, and horizontal radius of 750 mm. With the vPOWER, vDRIVE, vPOS and vCOM product segments, VAHLE’s automation division provides a comprehensive portfolio of system solutions. This line-up of seamlessly integrated components complement each other and comprise technologies that cover all requirements for energy supply, drive control, positioning, and data transfer to and from transport vehicles. Kamen – With the vPOWER product range of inductive energy transmission systems, VAHLE offers a reliable and maintenance-free solution for supplying power to automated guided vehicles. Energy transfer in the vPOWER system is based on the transformer principle. Unlike in a transformer, the vPower primary coil is a long conductor loop, while the secondary coil is placed on an open ferromagnetic core and mounted as a PickUp module on the mobile unit. Power to the primary conductors is provided by a primary inverter unit. It converts the three phase AC voltage into a single phase AC with a frequency of 140 kHz while supplying the primary conductor with a constant current. The power modules provide 10 kW each and can be cascaded up to 40 kW per power feed segment. For the vehicles, there are PickUps for 1.5 kW, 2.5 kW or 3.3 kW power featuring excess current and excess temperature protection. Parallel deployment is possible. To complement this solution, VAHLE also offers sensors to keep AGVs on the right track as well as optional supercap power reserves to allow vehicles to temporarily leave the track. Contact-free energy transmission provides major advantages over conventional conductor rails. Notably, the technology is wear-free and maintenance-free, insensitive to dirt and does not restrict travel speed. With the vPOWER, vDRIVE, vPOS and vCOM product segments, VAHLE’s automation division provides a comprehensive portfolio of system solutions. This line-up of seamlessly integrated components that complement each other comprises technologies that cover all requirements for energy supply, drive control, positioning, and data transfer to and from transport vehicles.